TechSoft were delighted to attend the Midlands Regional Final of the Young Fashion Designer UK 2015, hosted at RGS Worcester, where the winners of the Young Fashion Designers UK Competition were announced. 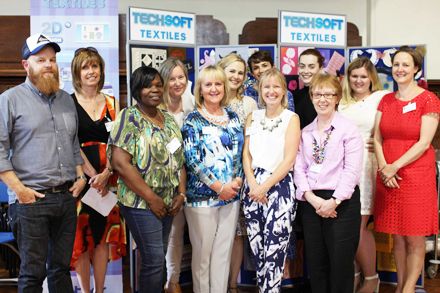 There was an amazing array of talent on the day, but TechSoft's Textile Consultant, Heidi Ambrose-Brown, along with help from the other judges (see photo bottom right) was able to select the six well deserved winners. 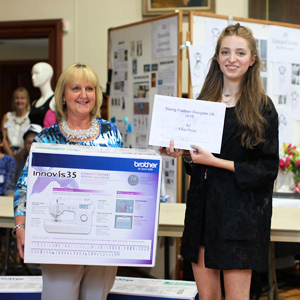 Each winner was presented with a Brother Innov-is 35 computerised sewing machine. A snapshot of the day can be seen in the video (to the right) where you can hear how the students themselves felt about the day and from Heidi on behalf of TechSoft. As this was a national competition, it was a great opportunity for young people to show off their talents and share their ideas with the rest of the country. 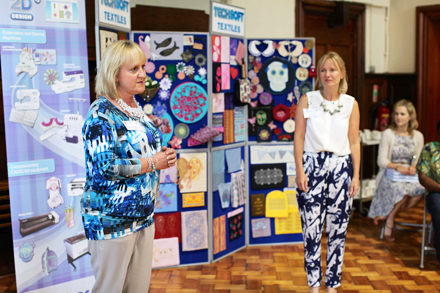 TechSoft also exhibited a range of equipment alongside exemplar work, which allowed students to see how they could progress with their fashion skills and put them to use in industry. TechSoft are proud to have been sponsors of this fabulous competition - it enabled us to support the students in their development of their future careers and develop their talents outside of the classroom. For general enquiries, to discuss your training needs, or to order a hard-copy version of the Textiles Guide, please contact: sales@techsoft.co.uk or call 01745 535007.